Las Vegas chain link fence stories. Sometimes you just don’t see them coming. When you live in Las Vegas, it doesn’t take long for the unusual to feel normal. 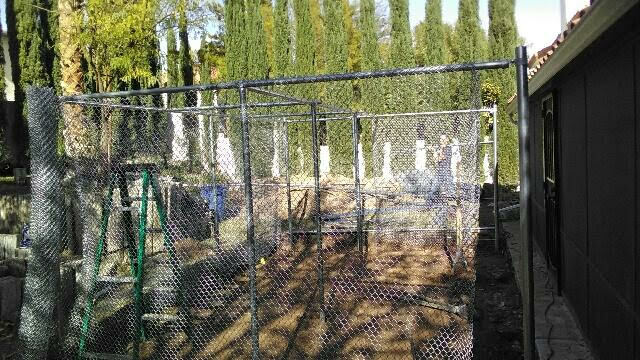 But I must admit, I was caught off guard a little when a customer called from The Lakes to say she needed an estimate on a chain link fence installation to help protect her babies. Initially, I was hard-pressed to think of a scenario that I wanted to be involved with that required chain-link fence to protect infants and toddlers. My imagination sometimes gets the better of me and I began to wonder if this new potential customer had seen one too many sequels of The Purge. Luckily as my new customer continue to explain her situation, everything became much clearer. It seems the babies she was referring to were her fur babies. Cute little bunny rabbits. Prior to calling us, whenever she let her rabbits out to play in the backyard, my customer had trouble with attracting Red Tailed Hawks. It seems they’re also fond of cute little bunnies, but in more of a “dinner is served” kind of way. And you might not think that coyotes would be a problem in the middle of Las Vegas, but the desert is the desert. My client has had several near miss experiences with coyotes jumping her back wall to get to her bunnies. So as you can imagine, she was constantly concerned for the safety of her pink nosed, jelly bean ambassadors. Building fences for over thirty years I am more than familiar with chain link fence installation. 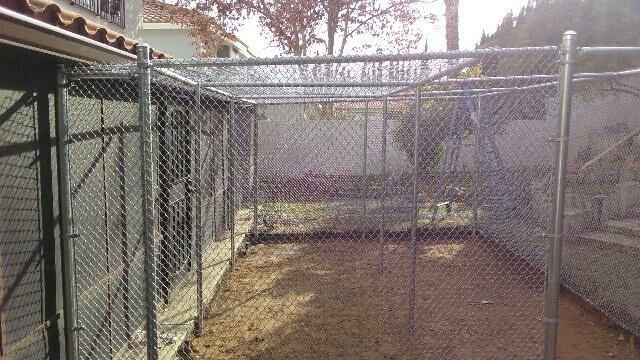 After listening to our new customer describe what she wanted, I knew that what she needed was a standard chain link fence dog run, except instead of dogs, this kennel was for bunnies. A little out of the ordinary maybe, but remember what I said about living in Las Vegas? Well, this isn’t even unusual for Henderson. So with that in mind, we got to work and fabricated a bunny safe space in her backyard. Total dimensions: 7 feet tall, 13 foot long, 18 feet wide. Enough space for even the most demanding fur baby. 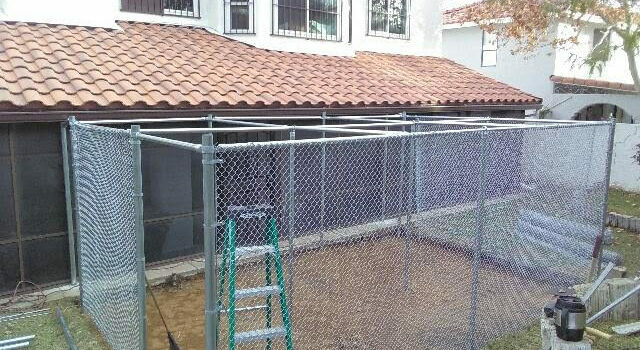 In addition to the standard chain link fence supplies you’d expect on a project like this, we added a few of upgrades. That included installing a 1 inch by 2 inch wire mesh barrier across the entire base of the run. I’m not sure if you knew this, but apparently rabbits like digging. The mesh barrier keeps them from digging themselves into trouble. So now, instead of having to confine her bunnies to the back porch most of the time, my customer can now open up the back door and let the little fur babies romp to their heart’s content. All without having to stand watch for the neighborhood critters. That is what we call an A1 Fence and Gate Repair happy ending.